Here we are. Publix Savannah Women’s Half Marathon week! The weather reports are in, and it looks like everything is on track for an amazing weekend. I am really looking forward to visiting with some wonderful running friends, and visiting a city I love. How did the past week shape up? Pretty decently, considering. Recap on this coming soon! I promise! It was a great preview to the triathlon world, and I was actually pretty proud of myself. Unfortunately, the rest of the day was spent helping Mr PugRunner get packed for two trips (one personal and unexpected, the other for business). We took a break to check out a new restaurant that opened recently. Mr PugRunner headed out early Monday, and so I got little man off to school for his FSA tests. We haven’t really made a big deal out of the tests, so the plan was to make sure he had a good night’s sleep and a solid breakfast. It ended up being a great day – little man got his report card and made honor roll again! We opted to stay home from karate because it was a later class and he had another test on Tuesday. It was a great idea in theory, but he ended up shredding both his knees when he tripped while running in flip flops. Ugh. I had a pair of new shoes that I was eager to try, so I headed out for a four mile spin in these Adidas Supernova STs. Honestly, I was quite impressed. While I don’t know if I would wear them for longer than five or six miles, they felt great for the shorter distance and I am happy to add them to my rotation. Work ended up being insanely busy, which was probably for the best. However, I was really, really glad to get home. Little man skipped his last session of running club because of his cut up knees, and I was just really happy to have a quiet night with him. I went out for another brick on Wednesday morning. The wind was still a factor, but I felt strong and quite pleased with the results. That being said, my Garmin was almost dead and I managed to finish up right before it pooped out. Yay, me! My parents came over that afternoon, and Mr PugRunner arrived home earlier than planned (yay!) so we all went out to a nice family dinner. It was much needed and I was so happy to have our little family together. The day started incredibly early as Mr PugRunner had 5:30 AM flight. I didn’t get back to sleep, so I just started my day. That being said, I had a hair appointment! It has been a LONG time since I treated myself, and I was so happy to have F take care of my grays and dead ends. She layered everything so my hair is much lighter for summer. After school, little man and I picked up our race packets for the Ready. Set. Glow 5K and grabbed a bite to eat before Cub Scouts. I confess, we spent a lot of time eating out this week. It was just easier with everything going on. With the way the week was going, I knew I wasn’t going to get in any kind of a long run, so I split it up into a morning five miler, saving the last three miles for our evening 5K. Little man had complained that his shoes were getting too small, so I made a trip to the New Balance outlet to get him another pair in the next size up. Holy moly, his feet are getting so big! The race was wonderful. I wish it had been a little cooler, but we toughed it out. Little man did an amazing job. I can’t wait to share all about it! we went to the grocery store and Target. We had a late night, enjoying snacks and cocktails with neighbors while the kids played in the culdesac. It was a very welcome break. The month of March did end on a high note: 74.2 miles running and 24.5 miles cycling. I feel back to myself in a lot of ways, and am looking forward to the month ahead. 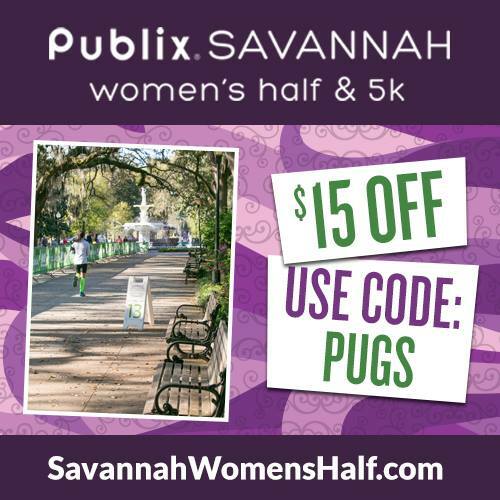 On Saturday, I’ll be running the Publix Savannah Women’s Half Marathon! 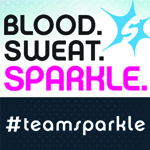 If you still haven’t signed up, online registration closes on Wednesday night at 11:59 PM ET. That’s crazy that his feet grew that much – it looks like little boy shoes next to man shoes, lol. Love the photos of you two together! 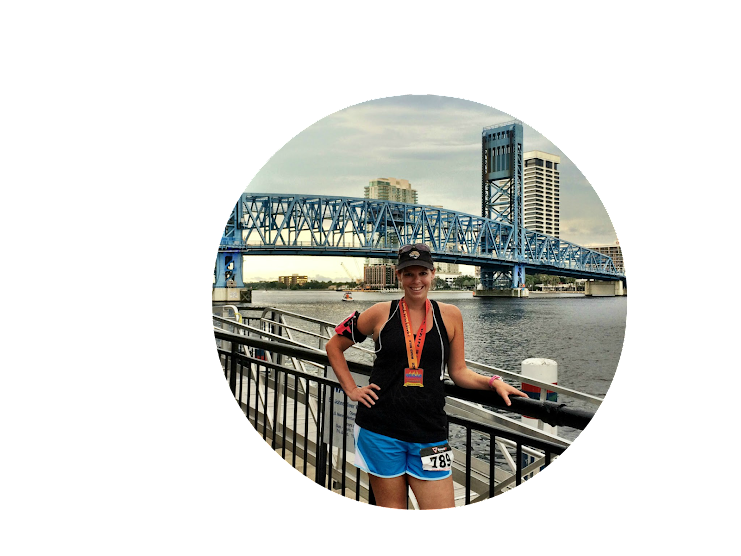 Chrissy @ Snacking in Sneakers recently posted…Farm to Fork Fondo: Everything You Need to Know + Promo Code! Well it’s little boy shoes against MY shoes! But I wear a size 10! And his feet are almost as big as mine! He’s also incredibly tall. And he’s not even 9! Great week of training! I love all of your smiling photos in your post as well! We are all about the smiles! Great job this week! Glad your enjoyed the indoor triathlon! It really is. I’m so glad I was able to find one! Love those new shoes! I think I’m in the market for new kicks…I feel ZERO pain, etc. while running, but I am having some DOMS playing with me at times. I think I’ll need to start from scratch because all the shoes I have used have all been “updated” and are not as ‘Kim-friendly” as they used to be…. We prefer the same shoes (Adrenalines and Inspires), so I would recommend trying these Adidas ones out. Definitely a little bit of a different feeling, but I really liked them a lot more than I thought I would. Have an awesome time at the half this weekend! Your little guy is so cute! Yeah for the glow run!! Glad I’m not the only one that gets their kids to take photos for their blogs, haha. It’s amazing how fast kids feet can grow. We just bought new runners for our oldest. Woohoo for Honor Roll! Way to go, little man! And I love those adidas! He has been tearing it up this school year. We are so proud of all his hard work. You guys are racing machines lately! Congrats on another great week and I can’t wait to hear more about your tri. Tis the season! We have to get it all in before the summer hits! I”m so looking forward to your triathlon recap! I think the only tri I could do would be in a pool. As much as I love water, I’m scared to swim in open water. 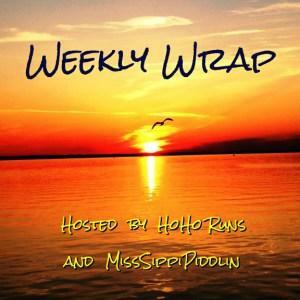 Wendy@Taking the Long Way Home recently posted…Keeping On…. Yay for new shoes! I’m planning to start breaking in a new pair of my own tonight, and cannot wait! How sweet that you and your son ran a fun race together! Lead by example ..that’s what parenting is all about! Good luck this weekend and have fun! I spent my 50th birthday this past January in Savannah ….love that city! You had a great week! I love your new do! Nice workouts this week! Getting your hair done always feels AMAZING. I love it! Great job on your mileage for March! It seems like my kiddos have all hit a growth spurt too! Love your little man’s new shoes! Good luck at the Publix Half Marathon! Can’t wait to hear all about it! Wow you fit a lot of everything into one week! Nice work getting all those miles in despite everything else going on. Hope little man’s knees are feeling better. That’s the worst! 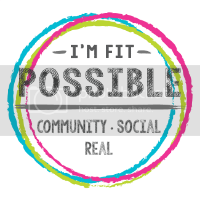 Training is moving along for me… I just finished week 6 of couch to 5K and start week 7 tonight. 25 minutes with no walks. Ugh. We’ve been eating out a lot too. It’s so much easier with everyone’s schedule. How fun to run the 5k with your son! I know you must be proud of him. I can’t wait to hear what you thought about the triathlon. I hope to do a few sprints this summer. Good luck this weekend! 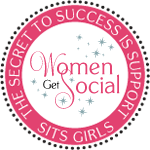 Thanks for linking, Jenn! I know it’s easier but it really kills my motivation on cooking when things get back to normal. We’ll get it figured out. I’m excited to see what your summer holds! I am so incredibly proud of my guy. He is coming into his own in so many ways and it’s so fun to watch.